Prosecutors are "unlikely" to pursue the death penalty for Deryl Dedmon, the white Mississippi teen charged with running over a black man with a pickup truck, because the family of the victim opposes the death penalty for religious reasons, Hinds County District Attorney Robert Smith said today. Smith told ABCNews.com he plans to make a formal announcement in the next two days, after strongly considering the family's wishes to spare Dedmon, 19, who was indicted with capital murder this week by a special grand jury. "Nearly all of the time we would like for the families to be pleased with the outcome of their loved ones' cases," he said. "We try to give that family peace of mind." 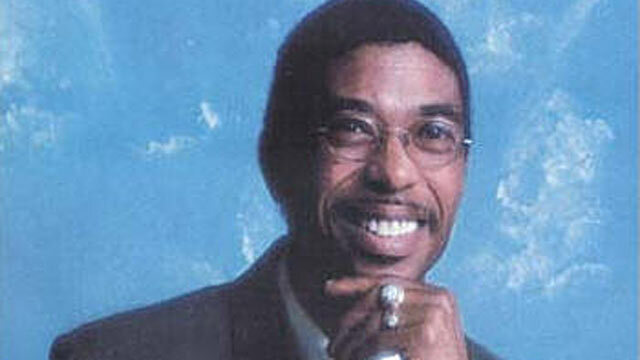 James Anderson, an auto worker, was killed June 26 in Jackson, Miss. His murder received renewed attention when grisly surveillance video of his death surfaced in August. In the letter sent to Smith, dated Sept. 13, Anderson's sister Barbara Anderson Young said she spoke on behalf of their mother, and her two brothers, in asking prosecutors not to seek capital punishment, saying the family's opposition to the death penalty is "deeply rooted in our religious faith, a faith that was central in James' life as well." "We also oppose the death penalty because it historically has been used in Mississippi and the South primarily against people of color for killing whites," the letter says. "Executing James' killers will not help balance the scales. But sparing them may help to spark a dialogue that one day will lead to the elimination of capital punishment." Anderson Young included a quote from Coretta Scott King, the widow of civil rights leader Martin Luther King, Jr., who once said "and evil deed is not redeemed by an evil deed of retaliation." The Anderson family attorney, Winston Thompson III, told ABCNews.com today they want "everyone that was involved punished to the fullest extent of the law" and would be "very happy with life in prison without out parole," which would be the next harshest punishment after the death penalty. After discussing the issue, the family's decision was "unanimous," Thompson said. "Really it was Mr. Anderson's mother [who led the family in coming to this decision]. She's 85 years old … she said, 'This is what I would like.'" Smith said the family's request wasn't out of the ordinary. "I've seen a number of victims' families who choose not to choose the death penalty," Smith said. "It can be for a number of reasons." Earlier this month Anderson's family filed a civil lawsuit claiming the group of white teens "set out on a mission to find and "f**k with some n*****s." When they found 48-year-old James Anderson in a motel parking lot, the complaint says, "several teenagers took turns beating him for an extended period of time, and then one of the teenagers drove over Mr. Anderson with a Ford F-250 truck." The family is seeking unspecified damages arising from Anderson's injuries and death. Dedmon's friend, John Rice, was at the scene during the beating and was originally charged with murder, but because he reportedly left the parking lot before Anderson was run over his charges were downgraded to assault and he was released on bail. The other five teens have not been charged. But the investigation is still ongoing, Smith said, and there may be more charges down the line. "We're working jointly with the department of justice to decide on charges against the remaining suspects," Smith said. Dedmon's trial will most likely be held next year. +Did Video of White Teens Killing a Black Man Spark Assaults?